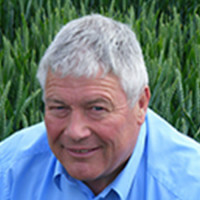 Mr Daubney recognises that cropping decisions for spring 2016 will have to be made following a challenging 12 months for spring barley growers. However demand from the distillers is still buoyant as UK maltsters are likely to buy around 1.9 million tonnes of malting barley from the 2015 crop, whilst new higher yielding varieties are making spring barley an even more attractive proposition on farm he says. Mr Daubney highlights that spring barley choice is driven by the end users as much as it is by agronomics. Currently there are only two non-GN varieties on the AHDB Recommended List with full approval from the IBD for brewing and malt distilling, Concerto and Odyssey. Limagrain continues to bring more varieties to the market place offering higher yields and a range of attributes that suit different situations and markets.